Nine Iranian people have been detained on Monday in Sri Lanka for being caught with 107.22 kg of heroin onboard a trawler bound for the country. These persons are in the custody of the Police Narcotics Bureau (PNB), as permitted by the Magistrate Lanka Jayaratne who is based in Colombo, which happens to be the capital of the nation of Sri Lanka. This vessel was tracked on Sunday morning by a joint operations team. This team comprised PNB agents, a police special task force and the Sri Lankan navy ship Suranimala off the southern coast of Galle. Next, the Security forces seized the vessel and arrested the nine Iranians, after which the suspects and boat were transferred to PNB custody in the capital. The suspects had posed as fishermen. 99 packets of heroin had been found hidden in four fertilizer bags onboard the boat. The trawler had been at sea around 14 days and when it saw the approaching Suranimala vessel, the crew dumped an estimated 500 kg of heroin into the water. Mobile and satellite phones had also been found and confiscated. “It was a joint operation and a great victory in combating the drugs menace,” Lt. Cmdr. Isuru Sooriyabandara said. The PNB would seek assistance from the Iranian Embassy in Colombo to help with translation because the suspects were unable to communicate in English. Embassy sources, meanwhile, claimed that the nationalities of the nine detainees had not been confirmed. Early this year, a 24-year-old Iranian woman was arrested by the PNB at Bandaranaike International Airport in Colombo for smuggling cannabis. At the inauguration of a new building of a school in Kalutara, Srilanka, the Governor of the Western Province Azath Salley, said that the country of Sri Lanka had become the ‘center for drugs.’ He stated that 107kg of drugs was found in the Iranian ship and that the police had nabbed 1500 kg of drugs after the president took over the police. Less than a few weeks ago, 5 members of an international drug smuggling gang were arrested from the Sri Lankan capital. These persons were linked with a massive haul of drugs in Sri Lanka. The challenge for law enforcement agencies is to keep up with the dynamic drug scene in the country. To add to this, law enforcement and anti-narcotics departments are always under-staffed and under-funded, there needs to be a modern intelligence gathering mechanism which can not only detect if a person has knowledge of a specific crime but can also find out more about his or her criminal affiliations, rank and stature in criminal organizations, linkages between many criminal organizations, use historical data to find linkages, etc. In order to defeat international drug cartels, the departments must be able to decipher the hierarchy of the drug cartel, identify the important persons among the arrested ones, retrospectively corroborate the gather information, interrogate the arrested persons without torturing them and within\ a short time frame, in a cost-effective manner. 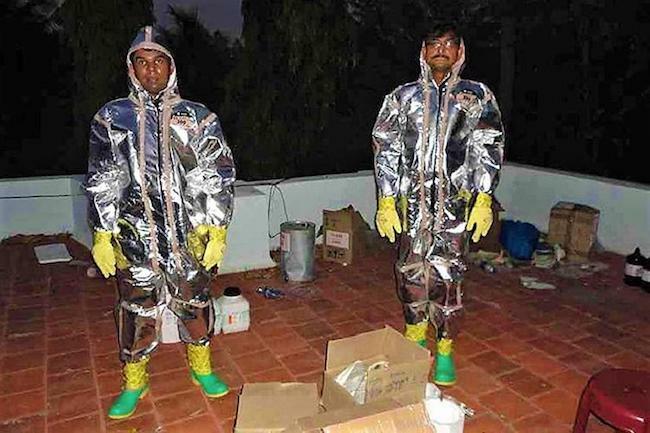 Can modern science be the missing piece in Sri Lanka’s anti-drug trafficking puzzle? Brainwave Science has come up with a technology which can help solve crimes faster, with lesser cost and effort. In addition to that, it enables law enforcement agencies to avoid the use of coercion and torture as a method to elicit a confession or extract information from an arrested person. Based in Massachusetts in the United States of America, Brainwave Science is a company which believes in the elimination of human suffering from the process of interrogation and investigation. The technology is called iCognative. It can reliably and accurately find out if a person has knowledge of crime-specific details or not. This is invaluable because it helps the investigators to quickly screen the arrested suspects and zero in on the correct one. By using iCognative, the investigators, can, for example, focus on 1 or 2 suspects rather than 10. This means that the investigation is more focused. iCognative is applicable to 85-90% of all civil and criminal cases. Agencies which deal with national security, border control, immigration, counterterrorism, law enforcement, and human and drug trafficking, can all make use of iCognative as an intelligence gathering and screening tool. iCognative does this by focusing on the suspect’s brain and his memory centers. When a person plans or executes a crime, they spend a considerable amount of time thinking about. It is important for them and the details get imprinted in their memory, in other words, they know minute details like faces, tools, places, dates, times related to the crime they committed. Officers investigate the crime and look for information. Only the information known by the perpetrator or accomplice is shown to the arrested suspects. At the same time, they are made to wear specialized headsets which can measure their brain responses to the information which is displayed. Images, words, pictures, phrases etc, also called stimuli, are displayed on a computer screen. If the test subject is familiar with the stimulus, their brain reacts in a way. The headset records responses to all stimuli and relays it to the iCognative computer. After a 45-minute test, the results are available immediately. With impeccable accuracy (99+ %), the iCognative system tells if the crime-specific information is present in the suspect’s brain or not. The Police Narcotics Bureau and police departments must try out iCognative in order to gather maximum information about the trafficking organizations operating across Sri Lanka and beyond, in a cost-effective, quick, reliable and actionable manner.